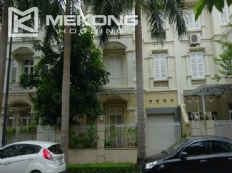 Find a house or villa to rent in Hanoi city, Vietnam? 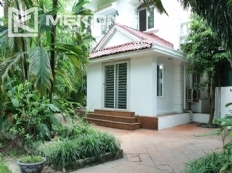 Our website includes all available Villas for rent in Hanoi and offer rental Villas at different prices, comprised of from 3 to 6 bedrooms with garden, swimming pool in Tay Ho - West Lake area, Ciputra Hanoi, Ba Dinh, Hoan Kiem etc. 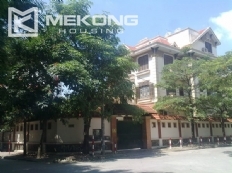 Mekong Housing help you to find an ideal villas in Hanoi. 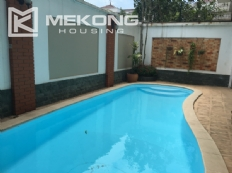 The villa is located in a quiet and nice street, central in Ciputra area, walking distance to UNIS school and all amenities such as gym, swimming pool, the street is nice that children and play around and bike. This charming villa has a land size of 350 sq.m, coming with a garden of 50 sq.m and a usable area of 400 sq.m. The villa is unique in T area Ciputra, because it has 5 bedrooms and an affordable rent, which is normally rare in the area. It is very close to UNIS school and Singapore school. The villa is in a quiet street, many trees and green area. 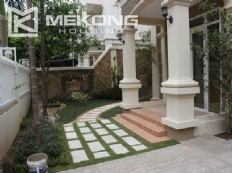 The land size is 200sqm, composed of 3 floors, front yard, back yard, a garage, a living room, kitchen, dining space, 4 bedrooms, 3 bathrooms, terrace and balcony. It is nice villa with big front and back yard. There are 4 bedrooms, 2 living rooms, 4 bathrooms, large kitchen, dining room. It is a spacious villa with big outdoor space. The villa is just finished renovation with new fresh painting, new furniture. Double glaze door and windows for the whole villa, thus, it makes the villa is very bright and airy. All bedrooms have private balcony facing flash green yard and beautiful community. All villas provided with modern furniture to make your stay more comfortable and enjoy all facilities of community.